The Hors les Murs programme introduces a new site for this 2015 edition: the presentation of a legendary Parisian heritage building, the Maison de la radio which reopened to the public in November 2014. Presented from October 20th to December 13th and echoing Sounds by the River along the Banks of the Seine, curator Anne-Laure Chamboissier has designed a programme of sound works in the different spaces of the Maison de la Radio. 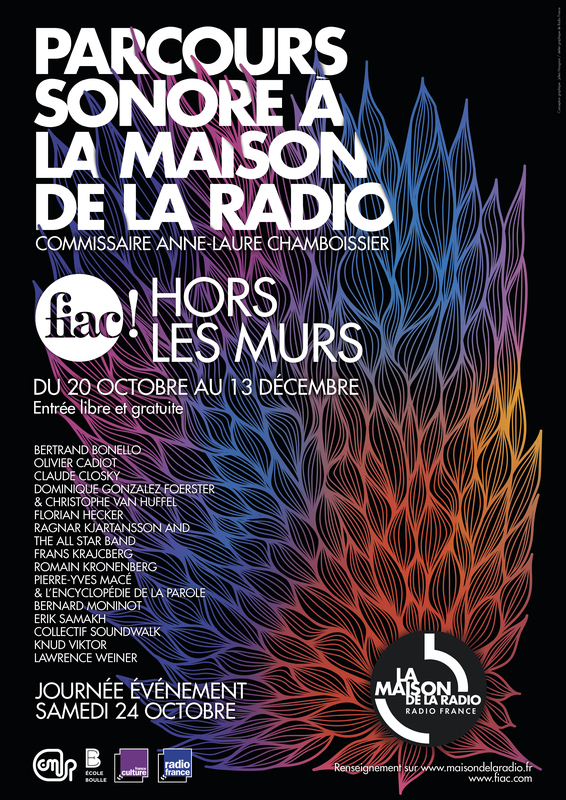 This programme will provide a unique occasion to showcase the wealth of audio creation by Radio France, in particular the work of the ACR - Ateliers de la Création Radiophonique produced by France Culture - together with coproductions with the Centre National des Arts Plastiques (CNAP) and to re-explore the Maison de la radio’s heritage through its rich archive collections, sound pieces and excerpts from radio programmes. This programme is focused on certain contemporary artists working in the visual and sound fields and echoes certain environmental issues to be examined at the COP21 held in Paris. 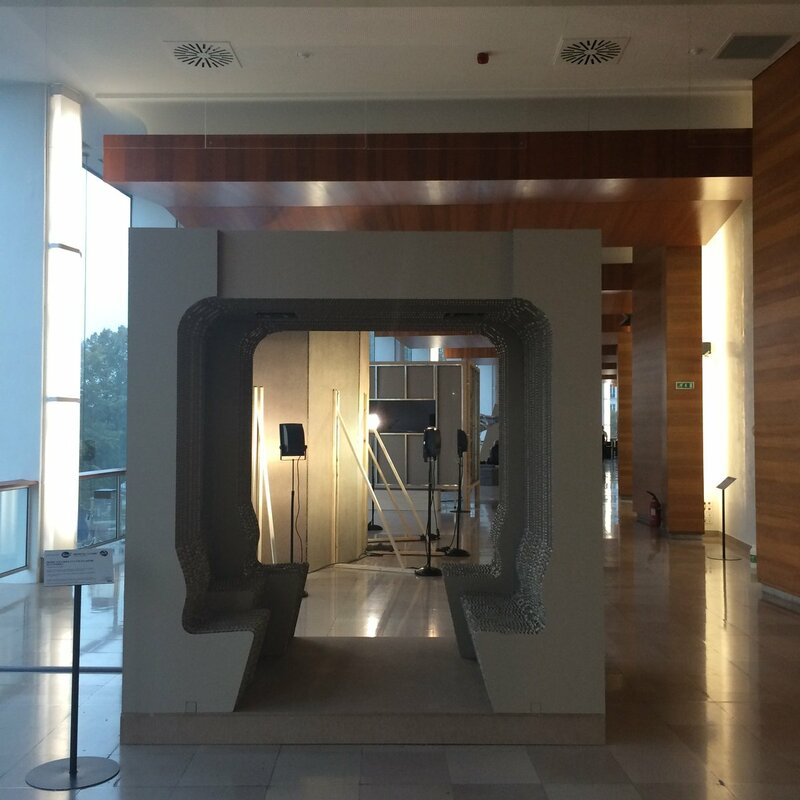 All the furniture presented in the Grand Hall and the Galerie Seine was designed by the 3rd year students of the DSAA Space Design and Inhabited Areas of the College of Applied Arts Boulle.